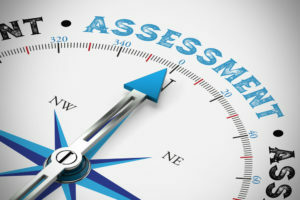 Use these 4 approaches to assess content marketing effectiveness. Is your content on target, on mission, on strategy and on message? Is your content being found by buyers? Are buyers consuming your content? Are buyers moving forward toward a purchase? Many marketers start creating content by … just creating content. Instead of taking that tactical approach, be a strategic marketer to increase content marketing effectiveness. Create a single consistent message. Content marketing is all about teaching before you sell. To be an effective teacher, first understand what buyers most need to learn. To find out what buyers need, perform buyer persona research. Why? Because trying to create content before you understand your buyers is like working in the dark. You can’t what see buyers need or how to help them. You might get lucky. You might not. 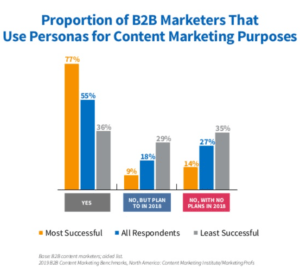 Today 77% of the most effective business-to-business (B2B) marketers create a buyer persona to help them assure content marketing effectiveness. 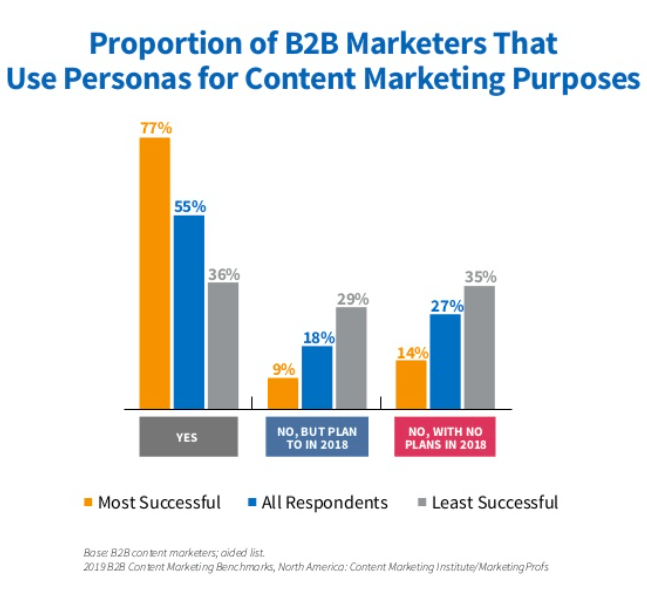 In contrast, only 14% of the least successful marketers create buyer personas, says the 2019 Content Marketing Institute/Marketing Profs B2B research. More than 3 out of 4 of the most successful B2B marketers use buyer personas, a practice that helps assure content marketing effectiveness. Among business to consumer (B2C) marketers, more than half use buyer personas to create content marketing, says the 2019 Content Marketing Institute/Marketing Profs B2C research. Marketers who use buyer personas get better results. 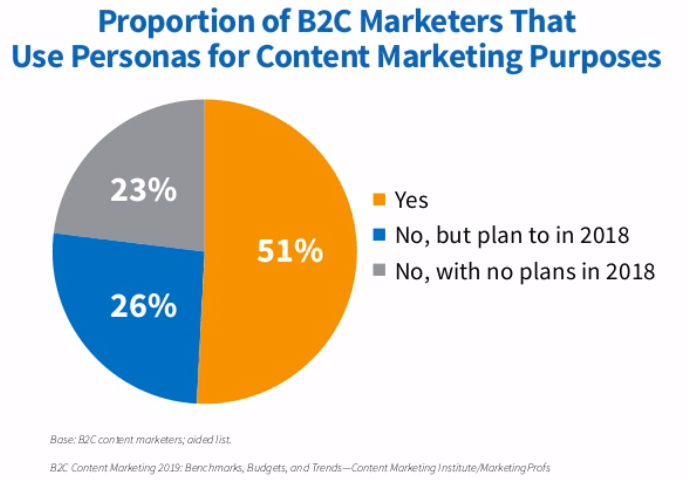 Slightly more than half of business-to-consumer (B2C) marketers use buyer personas to assure content marketing effectiveness. Who are your buyers, exactly? How do they frame their problem? 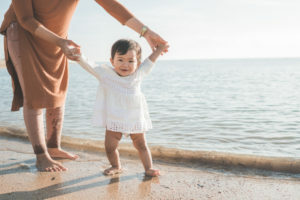 What pain points do they need to address? Where do they go to get information to inform their purchase decision? What obstacles do they encounter in the buying process? How do they overcome these obstacles to reach a purchase decision? Once you learn buyers’ needs, information habits and decision processes, you’re ready for the next steps. A written content marketing mission statement gives you a litmus test for each piece of content you produce. 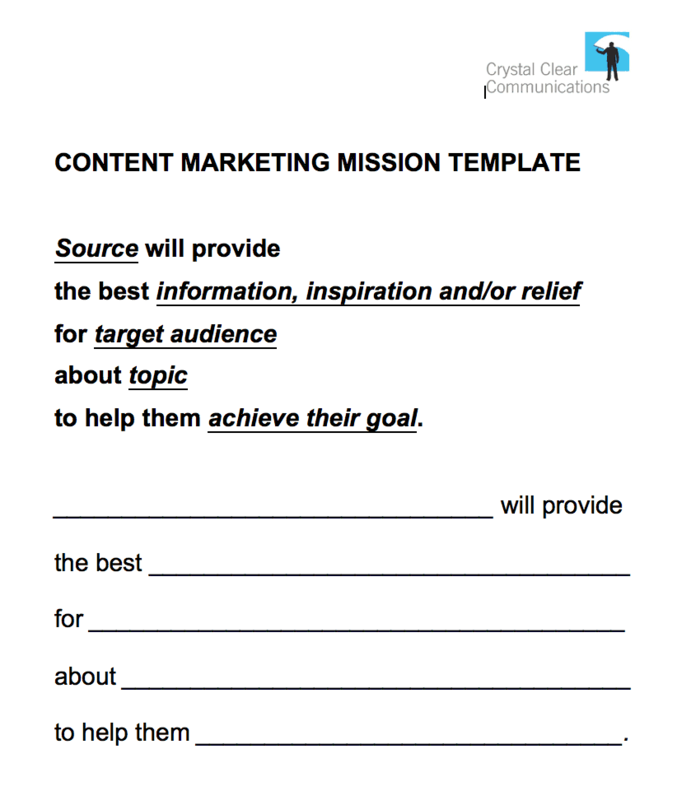 Unfortunately, only one out of 5 marketers has written down a content mission. Source will provide the best information, inspiration and/or relief for target audience about topic(s) to help them achieve their goal. Example #1: Digital Photography School has what you need to get your photography to the next level. From basic to advanced, we offer daily tips, resources, tutorials that will help you get the most out your camera. Example #2: The Red Bulletin features breathtaking stories out of the World of Red Bull and its Playgrounds. Delivering the unexpected, the magazine honors those who don’t play by the rules, who push the limits, have a lust for life, swim against the current, who have a passion for adventure and are not afraid to walk courageous new paths. Example #3: Tellabs will be the best source of information on Optical LANs (local area networks), delivering useful information, thought-provoking insights, resources and relief. We show IT buyers how to: address technology and business challenges, identify key trends, and improve user experiences. Once you have written your content mission, make sure all the content you create is on mission. Writing your strategy down will vault you ahead of many competitors in content marketing effectiveness. Why? Because only one out of 3 marketers has taken this crucial step. Many marketers avoid writing a content marketing strategy because they imagine a mountain of work that will take months, enshrined in thick binders no one will use. 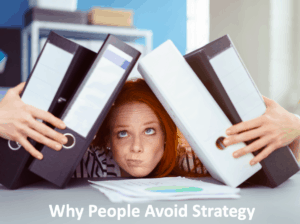 No wonder people avoid writing their strategy down. Up your content marketing effectiveness by fitting your content marketing strategy on one page — instead of filling binders no one will use. Instead, fit your strategy on one page to make it easier to focus on – easier for you, your internal clients and executives. 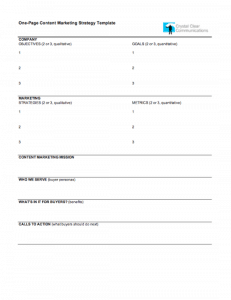 Here’s my free one-page content marketing strategy template. 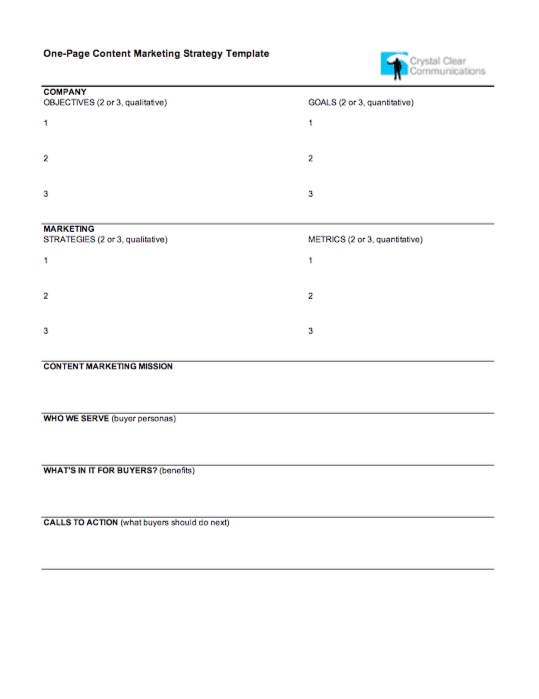 To assure content marketing effectiveness, use a template to frame your one-page content marketing strategy. It aligns your company’s needs (objectives and goals) with your content marketing strategies and metrics – all on one page. For details on how to create a one-page strategy, see my Content Marketing Institute blog, Simplify Your Content Marketing Strategy with a One-Page Plan. To gain buyers’ support, you need a clear and concise marketing message, delivered consistently over time so that it becomes credible to buyers. A great tool to create your marketing message is a Message Map. Co-create your Message Map in a big-tent meeting that brings together everyone with a say in the message. Using a Message Map, everyone in your company will learn how to tell your business story better. Why? Since your Message Map is co-created, it gains buy-in up front. A Message Map simplifies and streamlines your story by capturing it all on one page. Leading companies such as AT&T and Intel use Message Maps, enabling them to tell their story in just 7 seconds or 23 words. That’s the length of an average sound bite in news media. 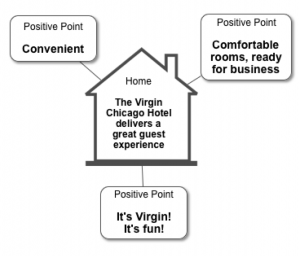 For example, here’s a 7-second Message Map for the Virgin Hotel Chicago. 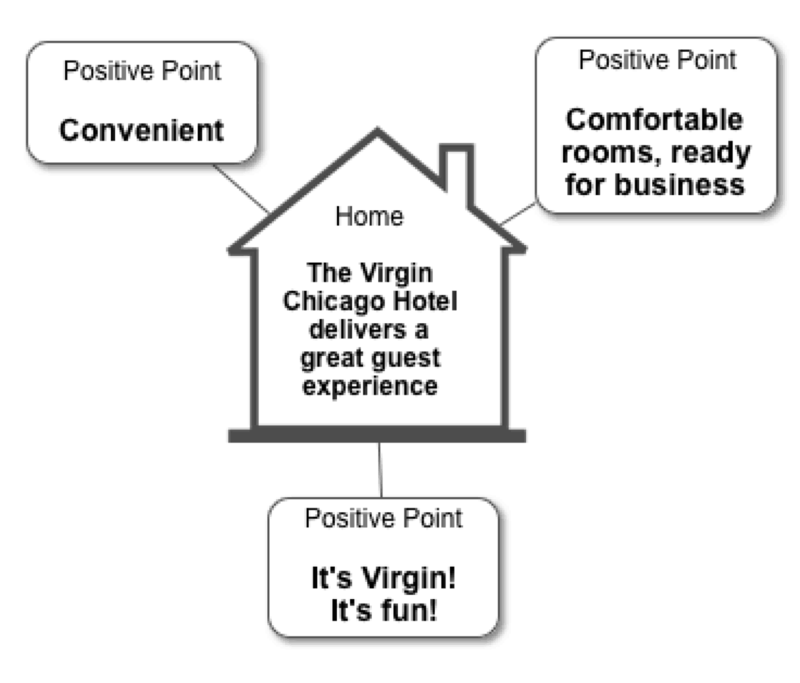 Here’s a simple Message Map for the Virgin Hotel Chicago, its whole story in 6 seconds. This Message Map boils down Virgin Hotel Chicago’s marketing message to 19 words, or 6 seconds – short enough to break through limited attention spans. Most important, the Message Map answers people’s #1 question: What’s In It For Me? Looking through the eyes of buyers, that’s the most important question your marketing message needs to answer consistently. Now that your content is on target, on mission, on strategy and on message, you’re well on the way to content marketing effectiveness. Find out: is your content being found? It’s necessary to create content, but creation alone is not sufficient to ensure content marketing effectiveness. Make sure your content is getting noticed by your target audience. 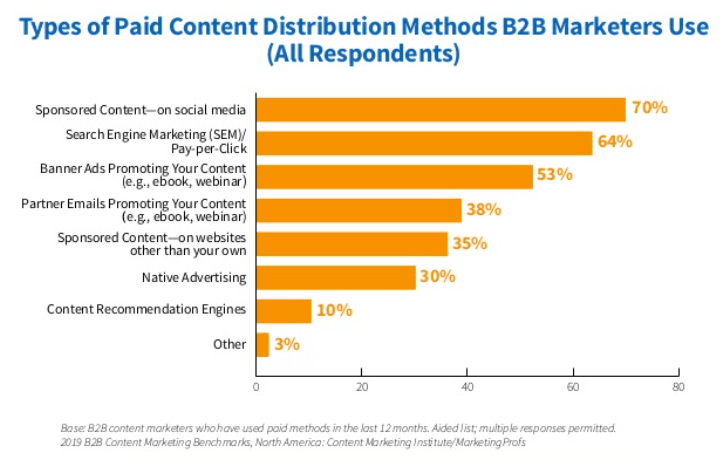 To improve content marketing effectiveness, start with search, then move on to social. Not all content types are equally credible. Consider the relative credibility of each content type you create. Content found by search is more credible than content found on social media. Owned content on your website, blog and email is more credible than what’s found on social media. Social media ranks dead last in credibility. 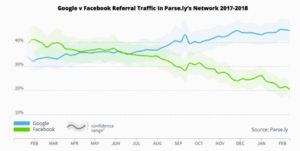 You can expect even higher levels of skepticism for social media posts, going forward. 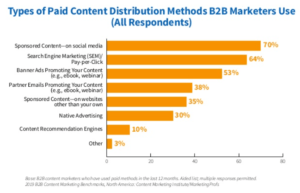 To assure content marketing effectiveness, use media people trust. Search and news media are trusted far more than social media. As social media share less and less content organically, you will need to increase your budget for paid social media. More and more marketers are paying to distribute content through social media, the Content Marketing Institute/Marketing Profs study found. Increasingly, marketers must pay to reach audiences via social media, says the 2019 CMI/Marketing Profs study. Next, use your website analytics to learn which pages draw the most traffic, and which don’t hold readers’ interest. Especially look at your top-performing pages, your bounce rate, and time spent on your website. 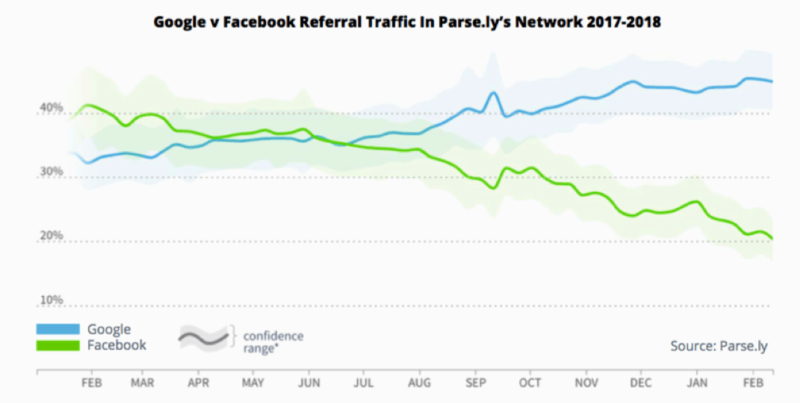 Where’s the bulk of your traffic coming from: search, referrals, or social media? Dive into the details to see exactly what attracts people to your website. Examine email open rates and click-throughs. Use eye-tracking software such as Hotjar to see where people’s eyeballs dwell on your web pages. Watching tracking videos will suggest ideas about how to adjust content to increase its pull. Study analytics from trade shows, public relations, and other functions closely related to marketing. Here are ideas on how to maximize the benefits you get from measuring your content marketing effectiveness. 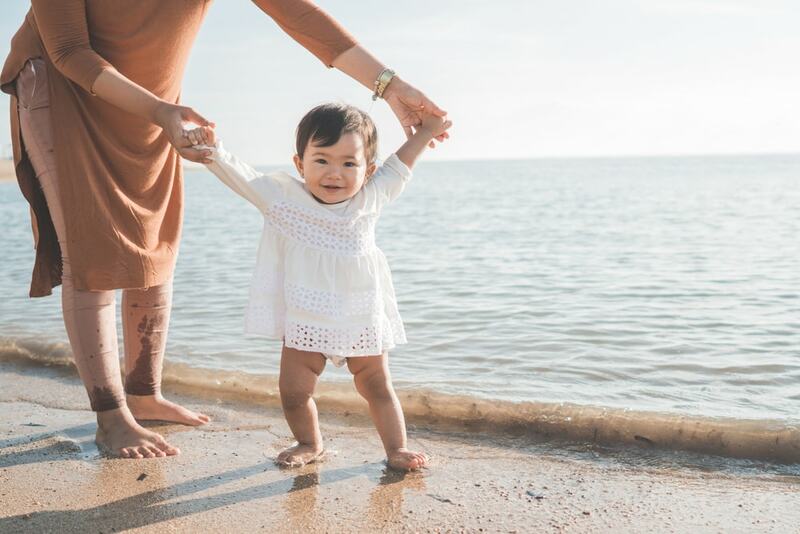 Convert people to customers in baby steps. First, ask for something small. Watch a video on that topic. Listen to a podcast on that topic. Read an ungated white paper or other long-form content. Make small asks first. Track the “soft conversions” that result. Why? Because people who do a “soft conversion” are likelier to do a “hard conversion,” due to the human consistency principle. Subscribe to your blog or print magazine. Download an Ebook or other lead magnet. Take an assessment or quiz. Meet at a live event. Are buyers moving toward a purchase, as seen through soft conversions and hard conversions? 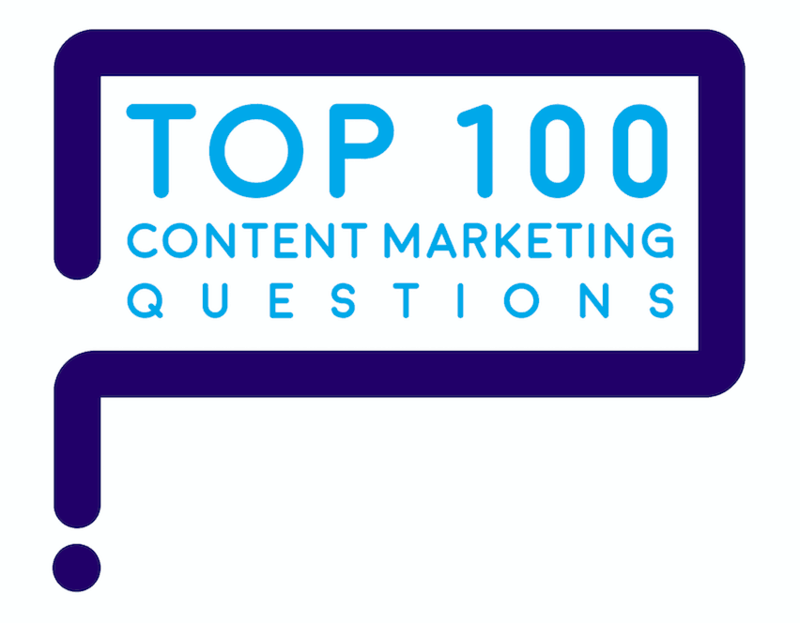 Wonder what marketers’ Top 100 Questions about content marketing are? 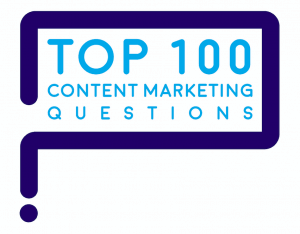 “How do you assess your current content marketing effectiveness?” is one of marketers’ Top 100 Questions about #contentmarketing. Here are the answers.